Who: Explorer. “Poet of travel.” Best-selling travel writer. Awarded Cross of the British Empire, named Dame of the British Empire. Lived to be a hundred. Signature Difficult Moves: Taught herself Turkish and Arabic. First westerner (male or female) to travel to many parts of the Middle East, including the fabled Valley of the Assassins in Western Iran. At seventy, made her final expedition to Afghanistan. Lived to be a hundred. What People Said About Her: “It was rare to leave her company without feeling that the world was somehow larger and more promising. Through her intelligence and formidable will she re-created herself from a shy expatriate Englishwoman, mired in domestic obligations, to a figure of unclassifiable eminence — too uncontrollable for high government service but rich in her energies and vision.” — Colin Thubron, New York Times. Personals: Married at 54. No children. Too busy globe-trotting. 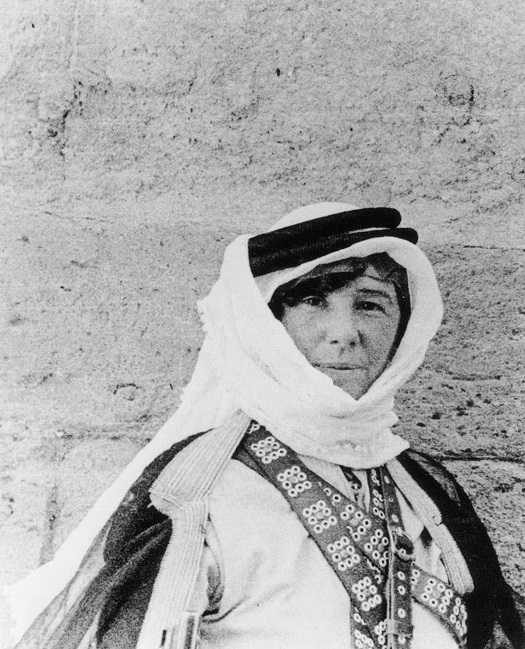 How She Spoke Truth To Power: During World War II, Stark worked for the British Ministry of Information in Baghdad, Aden, and Cairo, where she founded the anti-Nazi Brotherhood of Freedom. Quote to Live By: There can be no happiness if the things we believe in are different from the things we do. https://www.karenkarbo.com/difficult-woman-n20/Can you tell me where I can find it?